The 2018 Ann Arbor/Ypsilanti Regional Chamber of Commerce E3 Project of the Year has been awarded to a project at Carpenter Elementary that has led to thousands of acts of kindness in the past year. The “I Got You Project” was started in honor of Marcus (“Big Mack”) McIntosh, a 20-year old Ypsilanti native who was killed in a car crash in 2014, and had been known in the community for helping others. McIntosh was the son of Carpenter’s social worker, Camille Woods, who started a program to promote kindness at Ypsilanti High School—where she worked at the time of her son’s death—by handing out “I Got You-Big Mack” wristbands in return for acts of kindness. When she moved to Carpenter, Woods decided to bring the project with her. 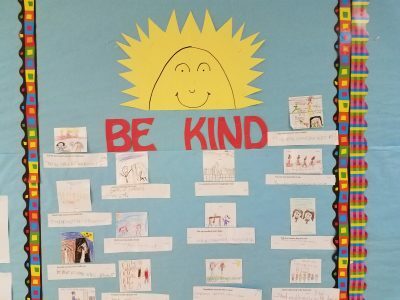 When she challenged students to complete 1000 acts of kindness over 30 days last April, they more than doubled that, completing 2,755 acts of kindness. “I got you” is now a slogan in the building to remind staff and students that they have each other’s back. Woods said that instead of focusing on the negative—such as anti-bullying—she prefers to emphasize the positive such as adding acts of kindness. 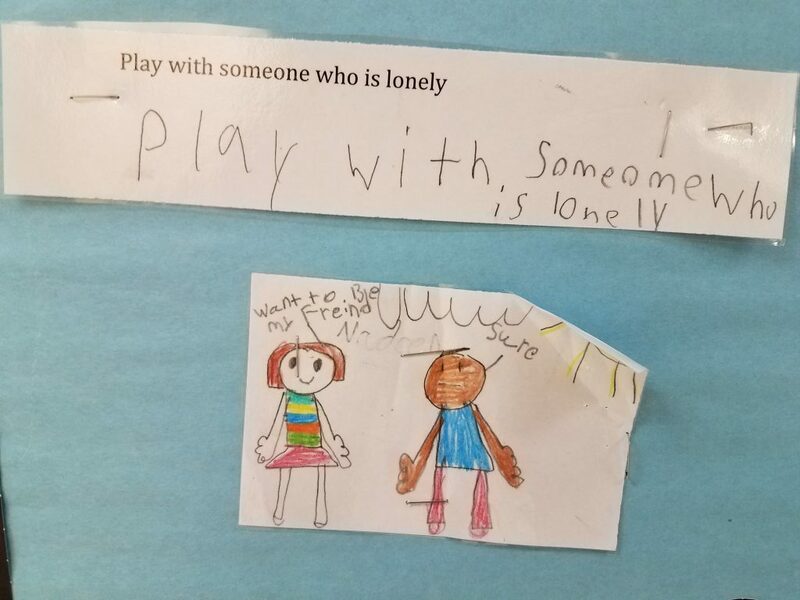 The children have earned wristbands for performing such acts, and some actions are recorded on an “I Got You Stories” bulletin board. Those stories are then acknowledged by an “I Got You Fairy” who pins a wristband to the work for the writer to receive. David Norton, a branch manager of Bank of Ann Arbor, headed the volunteer committee charged with selecting the winning project. Norton said the “I Got You” project met all the “E”s of E3—exemplary educational endeavors—and in some ways went well beyond that. 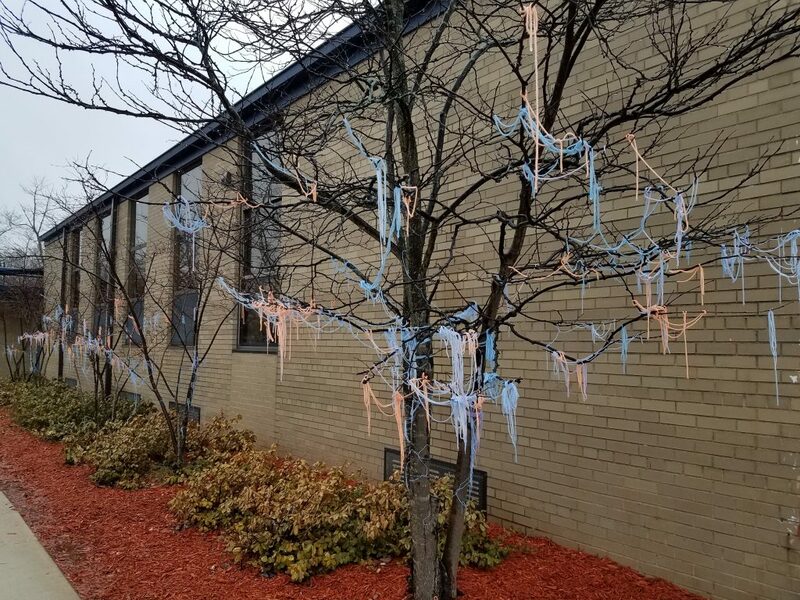 Ribbons on the trees in front of the school represent acts of kindness recorded his year. Parents have also been asked to complete acts of kindness, and add their own ribbons to the trees. Principal Michael Johnson says the words “I Got You” sum up the Carpenter message of caring for each other. He says the spirit of Big Mack lives on within each Carpenter Cougar, and propels them to build (the school theme this year) a better school for all. 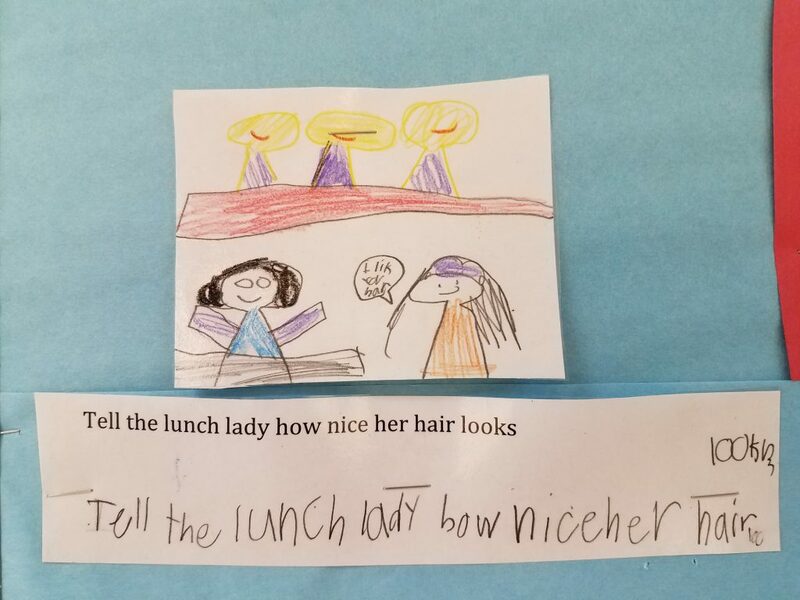 Students are encouraged to think of ways they can be kind. The awards presentation for E3 and Teacher of the Year—which is yet to be announced—will be held on April 18 at the Chamber’s Early Edition Breakfast. Congratulations to the entire Carpenter Elementary School Community! Camille Woods is such a wonderful asset to Carpenter School Students and Staff, to AAPS, and to our world! What a bright star for all who come into contact with her. The community is inspired! Camille, Michael, you deserve this and so much more. Please continue to be a light in the community! i hope the momentum starts a nationwide trend of more, and more, kindness toward one another. Thank you. Exceptional work coming out of an exceptional community! The “I Got You” initiative has the ability to change the lives of all who come into connect with its premise and energy.